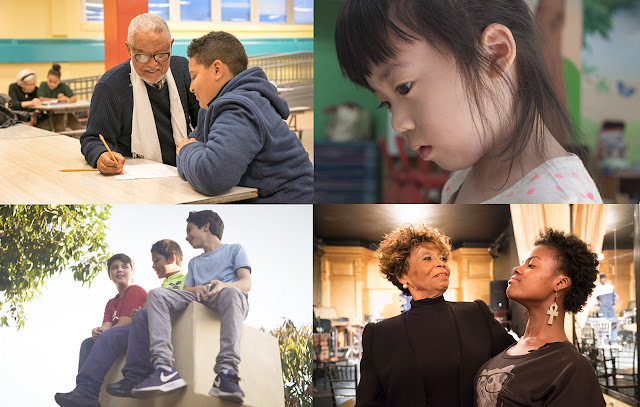 During the 7th Annual Legacy Film Festival on Aging in San Francisco (LFFoA), which took place between September 15th - 17th, I met an enthusiastic film festival attendee who had traveled from Ohio to be part of our annual 3-day event. Her name is Ahyoung Yoon, and she recently earned a doctoral degree from the Department of Arts Administration, Education and Policy at Ohio State University. Her dissertation is titled “Aging and arts policy: Interrogating Perceptions of Older People in South Korea”. Currently, Ahyoung is working with South Korea's Seoul International Senior Film Festival (SISFF), and Howling at the Moon, a theater group based in Columbus, Ohio, comprised of women aged 60 and older. I've been noticing more articles on the topic of Korea's aging population, and recently, I've read that for the first time in history, South Korea has more elderly than children. 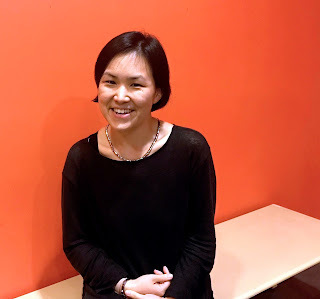 Needless to say, interviewing Ahyoung has been a fantastic experience as she has both relevant knowledge and personal experiences with older Koreans, as well as a genuine interest in older adults' creativity and wellbeing. How did you become interested in the aging population of Korea? While my dissertation is about aging in South Korea, Korean older adults are not my only interest. I also have interests in the “aging population in general”. I have always wondered why the typical images on older adults do not fit with older adults whom I know. It is clear that there are so many varieties within ‘older adults’ and we tend not to pay due attention to them. There is also a personal reason for my interest: I had cancer. I have learned through this experience that my identity as a cancer patient tends to overpower my other identities. This is very similar to the images we generally have of older people. In other words, I have realized that the image we have of older people has bearing upon aging-related policy and/or programs on older populations. For instance, we know that some older adults are richer/healthier/more active than some younger people. However, we tend to think that older people are weaker/poorer/more passive than younger generations. On an individual level of thinking, we agree there are varieties within the age group, but when thinking on the public policy level (or even in movies! ), we tend to simply symbolize people who are in their 60s or more as fragile, poor individuals. I want to highlight there are various social dynamics among aging and older people. Advocating diversities within aging can lead us to have better civic dialogue with other generations in aging societies. Additionally, the arts are one of the most powerful medium to open this conversation with each other. This is the reason why I am interested in arts participation of older population and arts and aging policy. In Korea, population aging is serious issue but it tends to be discussed only as a demographic disaster. I do not believe that older people are simply burden in our society - both in the US and in South Korea. Aside from senility or poverty in later life, we have little knowledge on the other aspects of aging. 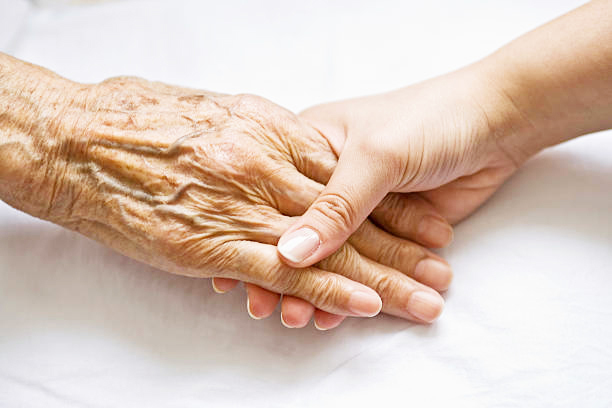 Do you have personal memories of being around older people, such as grandparents? How was the experience of interacting with older persons? 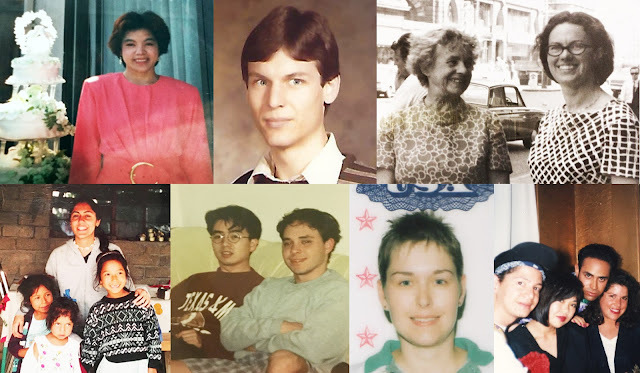 When I was young, I loved to be near older aunts and uncles because they always had fascinating stories that younger adults did not seem to have. History in textbooks seemed a bit vague and distanced from daily life, but their life stories, during the Korean war for example, were so vivid. They made history come alive for me. The wisdom older people have accumulated throughout their lives are also valuable to me. For instance, older adults with disabilities managed how to live with discomfort or changes of their own body. Recently, I also met very powerful older women through Howling at the Moon. I call them my Howling mothers! It is a pure honor to meet these brave women who face their aging with love and humor, and make creative performances in terms of their own later life. I learned from these women that aging is not about age, but about living. What is the current situation of the aging population in Korea? Older men walking in Gyeong-ju, South Korea. Due to the rapidly dropping fertility rate, the aging population has been accelerating in recent years. Therefore, in 2005 the Korean government launched a basic framework plan for an aging society and population policy by the law (Framework Act on Low Birth Rate in an Aging society). Every five-years, the Presidential Committee on Ageing Society and Population Policy addresses the fundamental direction of aging policy through this plan. While three Plans have been launched and all levels of government are trying their best to support older adults, the situation does not appear to be bright due to the complex nature of aging in Korea. About older adults-related policy (i.e. heath care and public pension): South Korea has a universal health care system (Approximately 97% of total population had access in 2016). The system is not perfect, yet most of the population can access public medical support. The public pension system, however, has a long way to go. Thus, economic security and poverty in later life are more critical issues compared to health care in South Korea. Is there anything about aging that is unique to Korea as a culture? It is hard to generalize but there are two main daily cultural aspects that may affect Korean attitudes on aging: Age as social respect; and Paternalistic family culture. Daughters and daughters-in-law provide care for elders. Age as social respect. Koreans tend to show respect each other based on age order. You can easily observe that Koreans (or even Korean Americans) ask each other’s age in order to find out who is older than who. This recognition affects how to behave to the other party. Paternalistic family culture. Traditional Confucian/Paternalistic family culture still lingers in everyday Korean culture. In relating to aging in South Korea, for instance, it is still common that women (daughters or daughters-in-laws) have major responsibilities on caregiving in one’s family. Ageism - absolutely! If we define ageism as “positive and/or negative attitudes based on age,” I believe ageism is not just an issue in the U.S. 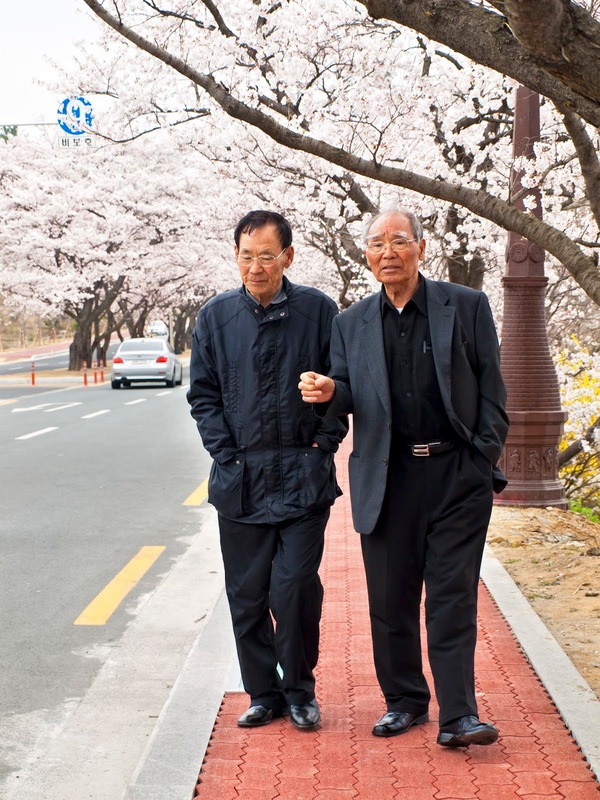 Traditionally in Korea, older adults were considered as wise elders in a community or family. However, in this neoliberal and IT (Information Technology) era, age is not always the best asset for a person. In addition, there are myths that older adults are generally politically conservative and support only conservative political party. With recent political events (for instance, the impeachment of former President Park), negative views on older adults has been increasing. There have been some violent demonstrations by extreme conservative groups of older adults against the impeachment decision of the constitutional court. While the myths only serve partial truth, it seems that the negative societal perceptions of older adults have been reinforced and amplified during recent political events. What are the positives about the aging Korean population? What are some challenges? What is something you learned about the Korean aging population or older persons that you think might be beneficial for other countries and people to know about? What types of intergenerational connections exist between young and older people in Korea? Wow, so many things to discuss! Please let me begin with social issues in relation to population aging followed by intergenerational programs as a policy solution. Then, I will shed light on potentials that older adults in Korea have. Elder poverty in Korea is well-known and has become a serious socio-economic issue. Also, in similar with Japan, the issues, such as increasing single older adults, lone death, or aging in rural area, are grave challenges in South Korea. Women or LGBTQ issues in aging have not yet been widely discussed. Also, as previously mentioned above, gradually accumulated negative perceptions and images on older Koreans would become critical issue as the proportion of older adults has increased. (Recent article from the Guardian: bit.ly/2w5WbSD). However, among those all significant challenges, I believe the most critical issue is that not many voices of older adults are heard in Korea. The extreme conservative political group mentioned above is just one of many voices of older Koreans. Advocate groups such as AARP or Legacy Film Festival on Aging that not only advocate for the older population, but also allow opportunities to consider older adults themselves as vital members of society, are not active in Korea. I believe more organizations or groups speaking on behalf of older adults are needed. There are a few potential seeds for advocacy of Korean older adults. For instance, there is The Senior Policy Monitoring Group which is initiated by the Seoul city government. The group works with the Seoul city government to establish Aging Friendly Seoul. 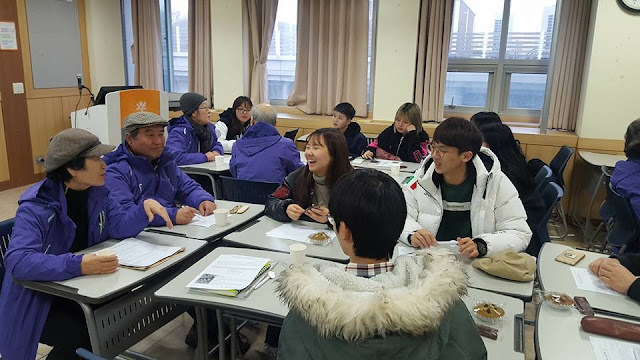 By inviting older Seoul citizens to take part in the policy process, their perspectives and voices are brought into the Seoul aging policy field. In Korea, an intergenerational approach has been also considered as one policy solution. There are intergenerational programs such as grandparenting, mentoring programs (older mentors give professional advice to younger mentees in certain jobs), intergenerational arts programs (older women read books to preschoolers) in Korea, as many other countries have. Among many, I would like to introduce Seoul International Senior Film Festival, as an example of arts and aging programs, in Korea. 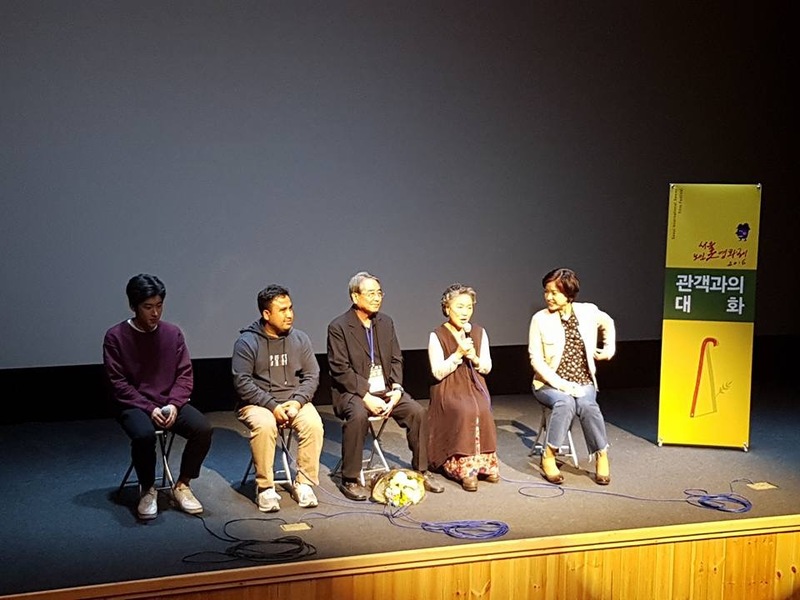 [Seoul International Senior Film Festival] aims to (1) encourage older adults to directly and actively participate film festival by also offering media education (including film production). Also, it (2) opens its competition to younger film directors who produce films on aging. Through two-track approach, the festival works as an intergeneration film event which stimulates the civic dialogue on current aging in Korea. I believe the older Korean generation has a stronger sense of values such as diligence, patience and sacrifice for a so-called greater cause. The older generation is responsible for the growth of the current South Korean economy, over the remains of Japanese Imperialism and the Korean war. They sacrificed their individual benefits and lives for the sake of community and/or national causes. However, my thought is that the values this older generation shares, such as patience and sacrifice, have shadowed limitations of the social safety net. Grandparenting, for instance, has long been uncritically considered as a (policy) solution for the low birthrate in Korea. While I do not object to the positive sides of grandparenting, it is certain that the sacrifice (or non-paid work) of the older generation has not been properly recognized. A big THANK YOU to AhYoung Yoon for your interview for GeroInspired. In addition to learning about the aging population of Korea, it was meaningful to hear your views on the the importance of arts participation among older people and your relevant work that supports your views. There are many creative, meaningful avenues to explore in older age. What was interesting for me is that despite cultural differences between Korea and the US regarding policies and attitudes on aging, two similarities stood out for me: ageism exists in society, and the majority of family caregivers are women. These are topics that remain vital topics of discussion amongst many of us. Dear readers, thank you for visiting and reading this helpful and heartfelt interview with Ahyoung Yoon. I would be interested in hearing your thoughts on film festivals about aging, arts participation for older people, aging population of Korea, and other relevant topics.